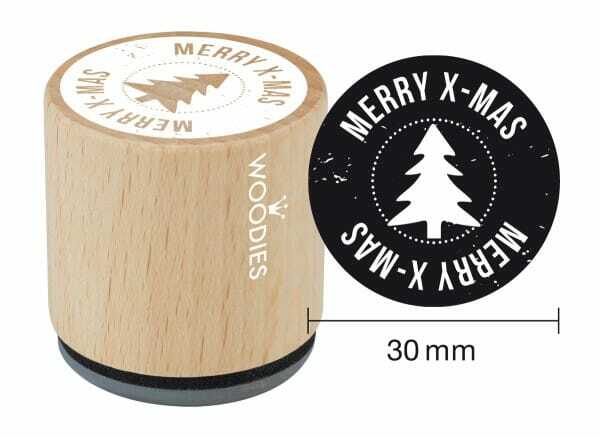 Wish everyone a Merry Christmas with the fun and funky woodies stamp. Making an impression on cards, tags and presents, the 30mm dainty stamp is made from beech wood and 100% natural rubber ensures long lasting use. Featuring 'Merry x-mas' text that will give anything you stamp a touch of festive fun. So whether you are a creative professional or budding amateur, the woodies stamp offers a quick and easy way to spread the Christmas cheer. Customer evaluation for "Woodies stamp Merry X-mas"